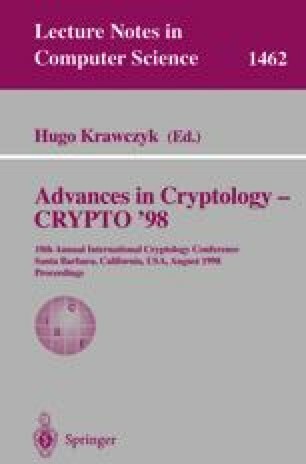 Using recent results from coding theory, it is shown how to break block ciphers operating on GF(q) where the ciphertext is expressible as evaluations of an unknown univariate polynomial of low degree m over the plaintext with a typically low but non-negligible, probability Μ. The method employed is essentially Sudan's algorithm for decoding Reed-Solomon codes beyond the error-correction diameter. The known-plaintext attack needs n = 2m/Μ 2 plaintext/ciphertext pairs and the running time is polynomial in n. Furthermore, it is shown how to discover more general non-linear relations p(x, y)= 0 between plaintext x and ciphertext y that hold with small probability Μ. The second attack needs access to n = (2m/Μ)2 plaintext/ciphertext pairs where m = degp and its running time is also polynomial in n. As a demonstration, we break up to 10 rounds of a cipher constructed by Nyberg and Knudsen provably secure against differential and linear cryptanalysis.